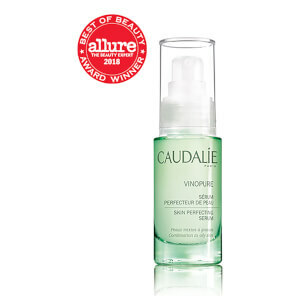 Prepare and perfect your complexion with Caudalie Vinopure Purifying Toner, an essential clarifier for combination skin. 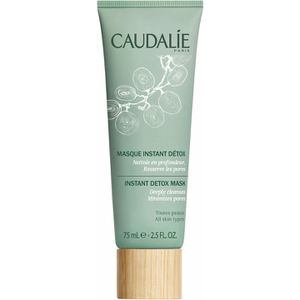 The weightless, fluid texture melts into skin to provide an instant refreshing effect, while its powerful blend of Salicylic Acid, Grape Polyphenols organic essential oils works to draw out impurities from deep within pores. I’ve been using this toner almost everyday twice a day for about 2 weeks and I love it. I normally use it with a cotton swab after I wash my face and it definitely makes a different on my face, especially in the areas that are slightly discolored. I will continue to use this along with Caudalie serum and matte for the future. Ive been using this product for a few weeks. No cotton ball - I just splash some in my hands and pat on my face. I t makes a wonder "vehicle" to smooth serum, moisturizer on in the AM. Find it is very refreshing and smells great. I bought the entire line for oil control and I prefer serum and the moisturizer more than this toner. The smell of this toner is great, very similar to the Beauty Elixir. I generally get used to using toners with salicylic acid so it is fine for me. However, what I don't like about it is it always becomes white tissue? or white serum? when I use the cotton pad to wipe my face. It does not hurt but it is very annoying. It even makes the serum becomes white and seems hard to absorb. I am thinking of put the toner into a spray bottle to finish it. I think the product is nice and I do like this new line but the way it feels could be improved.